I know I am about a month late on posting My Barcelona part 2 (if you haven't seen part1 it's this way) but I honestly kept forget it! But I have a lovely treat for you. This post will be heavy on pictures! Sorry for those who do not like photography like me but there is so many beautiful things to see and share in Barcelona. 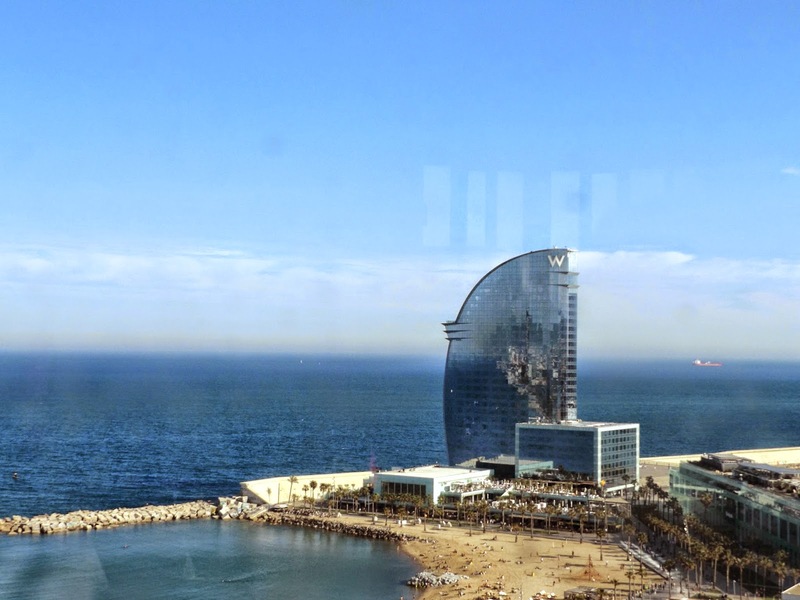 I am going to show you to the cable car views, Park Guell, and show you some of the gorgeous food I ate. Lets start with cable car! I have to say I wanted badly to go on the cable car in Barcelona. 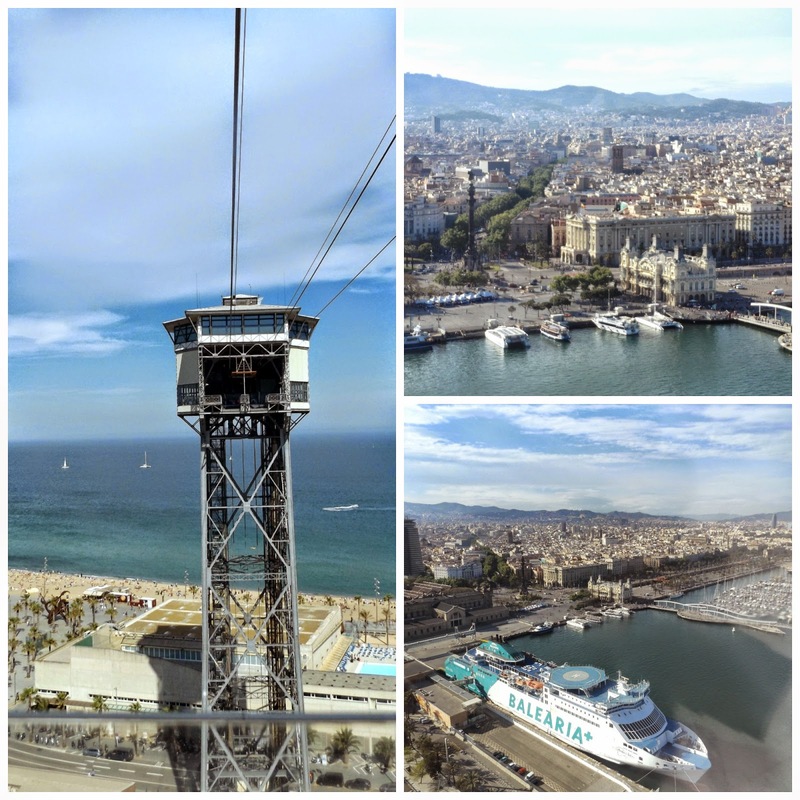 There are few cable car lines but we went on the most obvious, and the most known, which is the one running from San Sebastia beach at the Barcelona harbour to and from Montjuic hill. We decided to take that route! When I suggested we do it, I forgot that I am actually terrified of hights and tangling from a small crowded cart above the sea was adding to the ever more terrifying moment in my head. But I survived to tell the tale although I spent half of the 10 minute climb with my eyes close (both ways). So I am brave but not that brave! I didn't take as many pictures (because having eyes closed does not help) as I wanted the view was rather beautiful but I managed to get few. 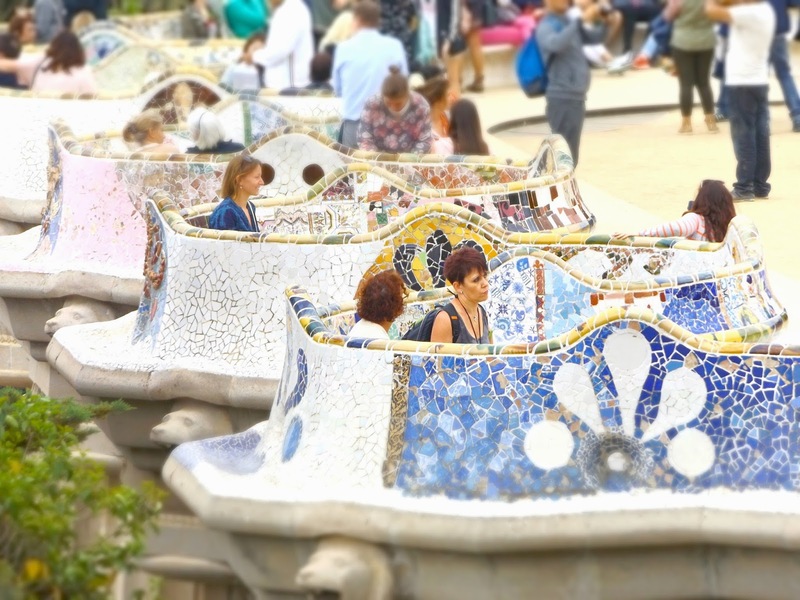 Another beauty of Barcelona is the Güell park, this beautiful park is situated on the roof of Barcelona so for a beautiful view of the city this is a place to go. Also it is the perfect place to escape the city and embrace a bowl of fresh air. For a little history it began to be built in 1900 and some parts of the park, as you can guess, have been designed by Gaudi & Guell. Gaudi's designs are easily recognisable by the very colourful style, geometric and beautiful curves that he is know for. 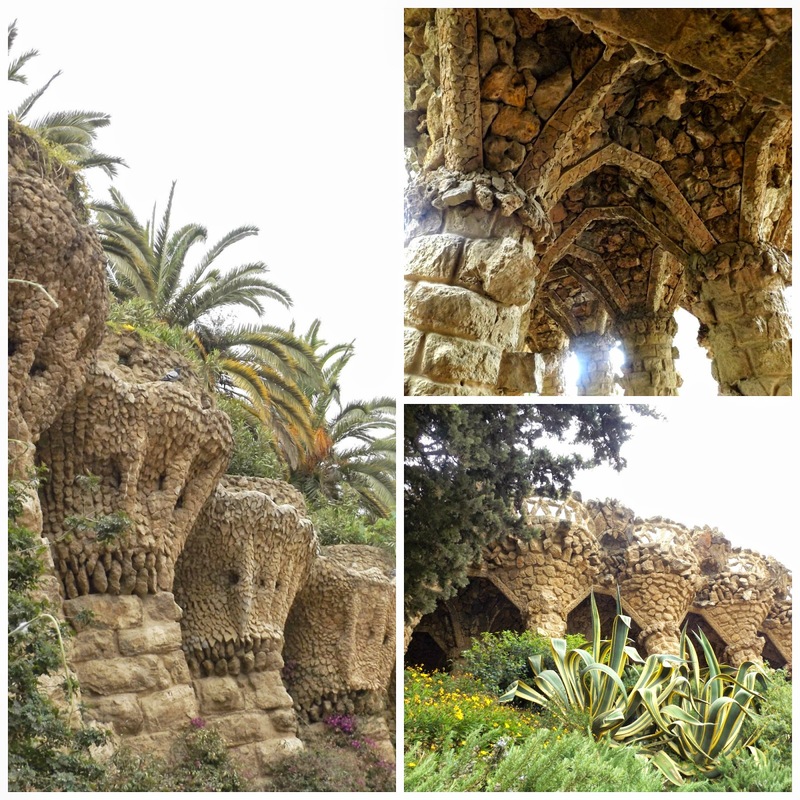 Guell was the artist behind the features of the actual park, which seems to go into a spiral, the best way to visit Guell park, for me, is to start on top and to spiral down to the Gaudi terrace and the beautiful stone viaduct or arch bridge if you prefer. 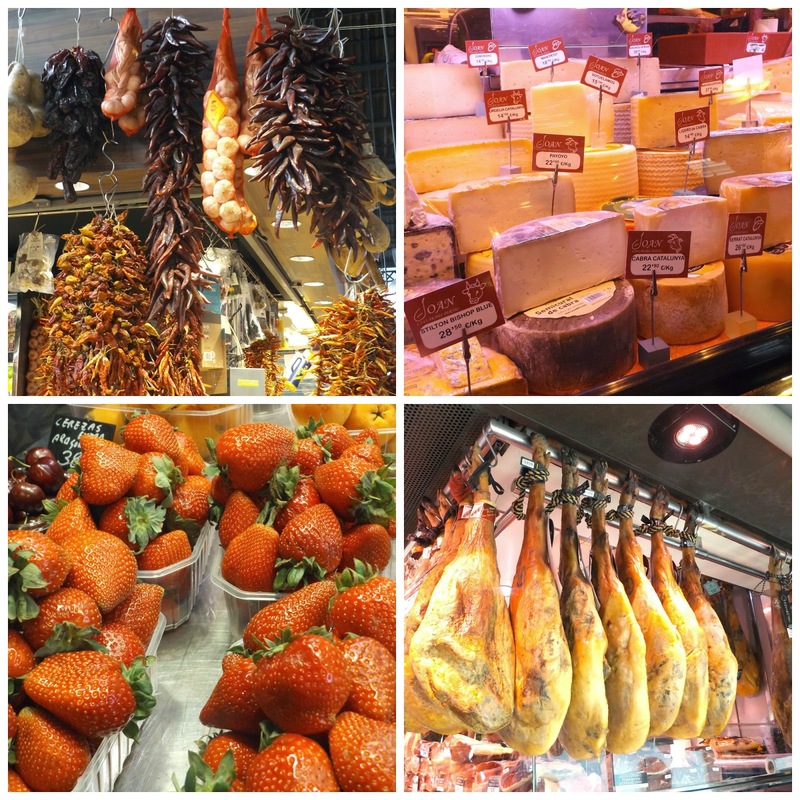 One of the big surprises of Barcelona for me was the food! 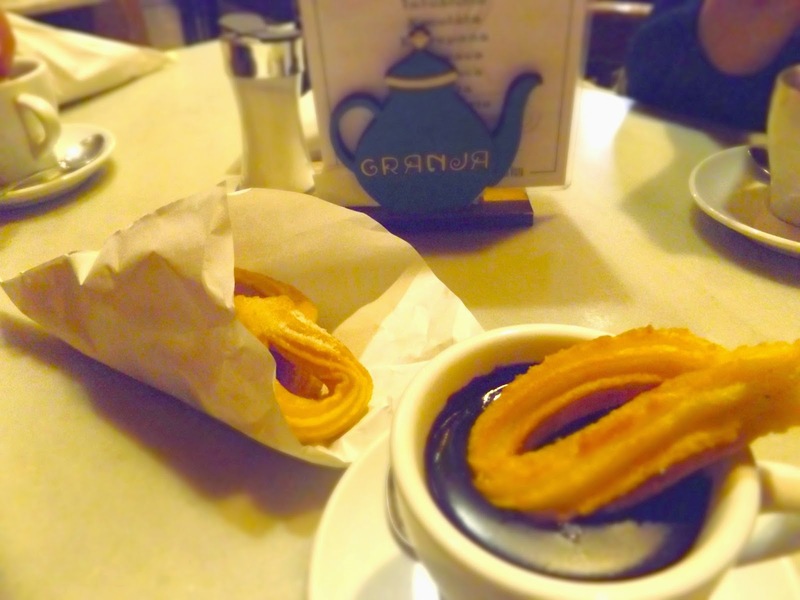 My few experiences of Spanish food in the past in the so called 'Spanish restaurants' based in London were bland & over priced. But to my delightful surprise, Barcelona delivered an amazing variety of fresh and succulent foods that I still dream about weeks later. We were very lucky, as my friend Ben who lived and worked in Barcelona, knew all the local tapas bars and restaurants away from all tourist traps! Basically he knew where the locals go, and indeed he knew very well, as we had on many occasion the best tapas I've ever tasted. Also eating out in Barcelona, comparing to eating out in London, was very cheap hence we were out for dinners & lunches most days. Unfortunately most of the amazing tapas pictures we ate were on my iPhone5, that died few weeks after my trip, hence I lost all my pictures (teach me not to do backup hey!!! 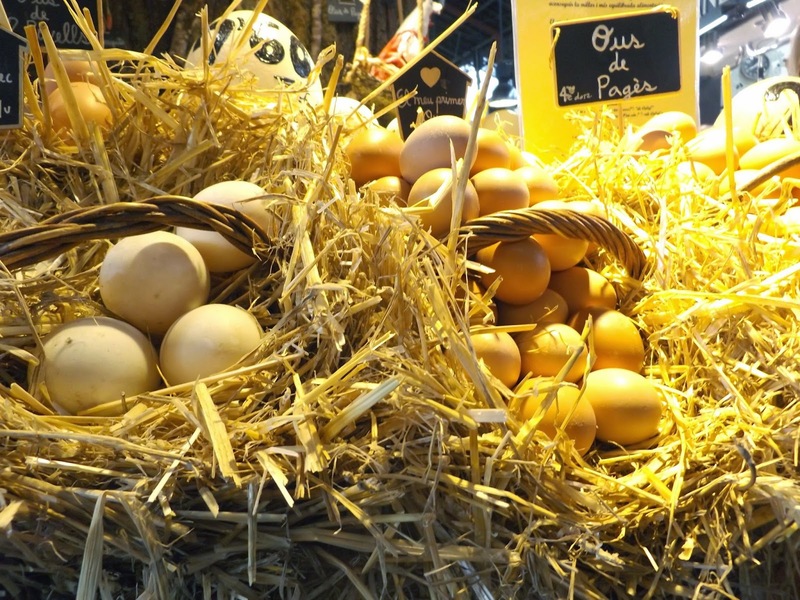 ), but I still have few pictures to show you which were taken at Boqueria's market the most beautiful food market in the heart of Barcelona, I strongly recommend. I have another treat for you, while in Barcelona, I went to see the Pixar exhibition which if you know me, was something I was extremely happy to see, but I'll do an entire post about Pixar so stay tuned. 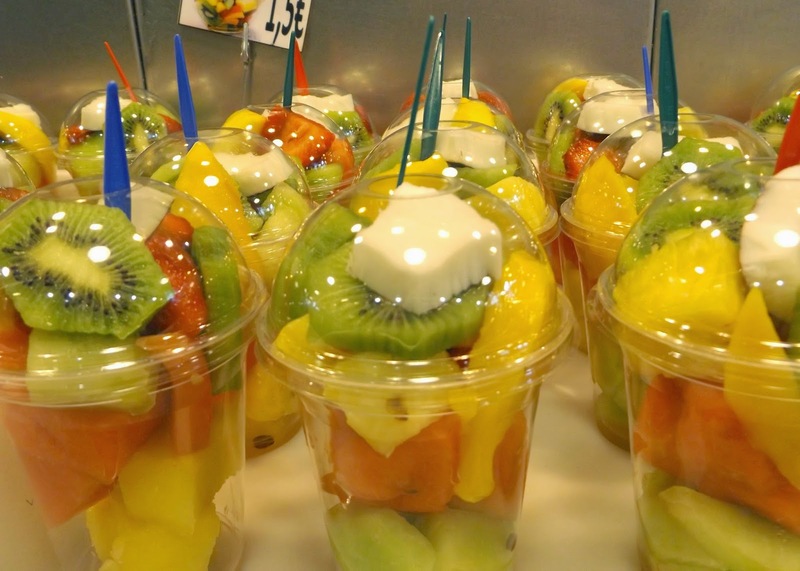 Have you been to Barcelona? Or are you thinking of going? Tell me all about it by commenting below.